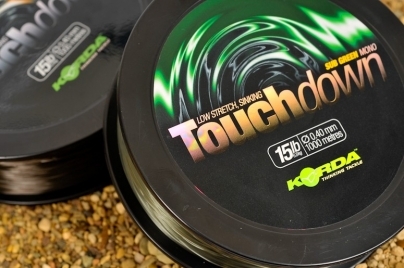 Touchdown is a performance mono that has been designed to help you feel more as the lead impacts the bottom. This has been achieved by reducing the stretch, while maintaining the abrasion resistance and casting performance. It sinks well and has great knot strength. We've made it available in two versions, a low-viz green and a dark brown colour to suit all the lake bed conditions that you're likely to encounter. Touchdown is available in 10lb, 12lb, 15lb and 20lb, covering you for all carp angling disciplines.